Evgeny Kuznetsov recorded four assists in Game 4 to match a single-game Stanley Cup Final record, achieved by 11 other players (most recent: Colorado’s Joe Sakic in Game 2 of the 1996 Final). Kuznetsov’s four assists also equaled a Capitals’ single-game playoff record, achieved by Scott Stevens in Game 6 of the 1988 Patrick Division Final against New Jersey and Andrei Nikolishin in Game 3 of the 1998 Eastern Conference Final against Buffalo. Kuznetsov, who leads the playoffs with 31 points (12g, 19a) in 23 games, became the fifth NHL player since 1997 to register 30 or more points in a single postseason. Kuznetsov (Chelyabinsk, Russia), who owns a five-point lead over teammate Alex Ovechkin (14g-12a), is seeking to become the third Russian-born player to lead the NHL in postseason scoring since 1943-44. The only two thus far: Detroit’s Sergei Fedorov (Pskov, Russia) in 1995 and Pittsburgh’s Evgeni Malkin (Magnitogorsk, Russia) in 2009 and 2017, respectively. Earlier this postseason, Kuznetsov went on an 11 game point streak (6g, 10a), establishing a new franchise record for the longest point streak during the playoffs. Kuznetsov's point streak was the longest playoff point streak by any player since 2010 and just the fifth point streak of at least 11 games since 1997. Kuznetsov currently has 22 points (7g, 15a) in his last 14 games. Dating back to Feb. 24, Kuznetsov has 59 points (23g, 36a) in 41 games. Additionally, Kuznetsov is the eighth Russian-born player to record double digits in goals for a single playoff year and the fifth to do so at 25 or younger. In 62 career playoff games, Kuznetsov has recorded 50 points (23g, 27a), and his point total ranks 12th in franchise history. 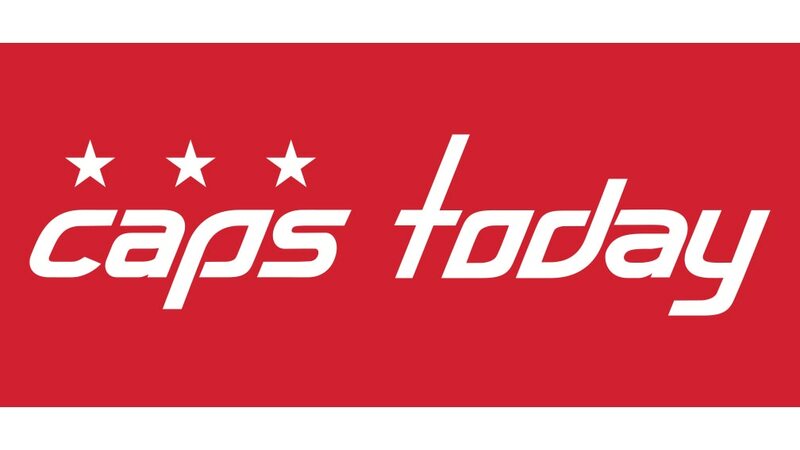 Media interested in covering the Capitals’ Game 5 viewing party at Capital One Arena required to notify Megan Eichenberg in the Capitals media relations department by 5 p.m. today to ensure building access and parking. NBC Sports: Capitals’ Stanley Cup Final run is Trotz’s masterpiece / So, what would T.J. Oshie’s Metro card look like? / Capitals’ Brett Connolly knows ups, downs of top prospect’s NHL journey / Should Golden Knights have pulled Marc-Andre Fleury in Game 4? Yahoo! Puck Daddy: Trending Topics: Where are the Golden Knights' hockey gods now?